If you’re an innovator who comes up with product ideas that would appeal to young people; you need to learn how to market and promote those items. Thankfully, we live in the digital world, and so the process is much easier today than it ever was in the past. There are some vital ideas below that should point you in the right direction and ensure you leave no stone unturned. Regardless of the nature of your business and the product concepts you create, these suggestions should help you to reach the people who matter most to your venture. Young people are more accessible than ever before, and you need to take advantage of that situation. Facebook and Twitter have hundreds of millions of active users every single day. Almost every young person in the world opens a social media app on their phone every twenty-four hours. So, it doesn’t take a rocket scientist to see that your company will benefit from building a presence on those platforms. The process of opening accounts only takes a few minutes. You then need to upload your branded graphics and begin posting status updates. 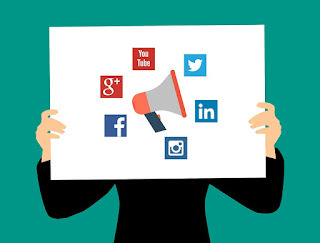 For the best results, you’ll have to use some of the paid advertising tools to push your posts towards your target market. You can target users based on many different elements including their age! There are lots of popular people on the internet who have a vast following of youngsters. For the purpose of this exercise, we’re going to refer to those folks as “influencers.” Social influencer marketing has become big business during the last couple of years, and you could end up selling a lot of products if you choose to engage. There are specialist agencies you can use to link up with some of the most influential people on social media at the moment. You just have to strike a deal with them that will involve the person promoting your product in some small way. Hopefully, all their young followers will notice. Google Adwords is still the most popular banner advertising tools in the world, and so all business owners need to learn how to use it. The platform enables you to target internet users based on a vast array of criteria. You can push your banners towards people in a particular age group, those with specific interests, and anyone with a recent life event. You can also target users based on other websites they visit. So, it’s one of the best solutions for anyone who needs to promote products to the younger generations. Use the information from this article to cover all the bases and get the best results from your marketing efforts this year. Steer clear of TV and radio ads if you want young people to purchase your product designs. Most people under the age of forty only switch their TV on to watch YouTube or Netflix these days. So, there is a reasonable chance that you will waste your investment and struggle to create any extra sales using those strategies. Good luck guys!